The BMW X6 stands out in particular through its unique sporting looks and performance, unmistakable design adding a most exclusive touch. And now the truly discerning driver is able to make the driving experience and looks of the world's first Sports Activity Coupé even more outstanding, tailoring all the car's features to his individual, sporting preferences. The wide range of products from BMW Performance offers numerous options for this purpose, ensuring an even more intense experience of driving dynamics and the fascinating, aesthetic design of the BMW X6. 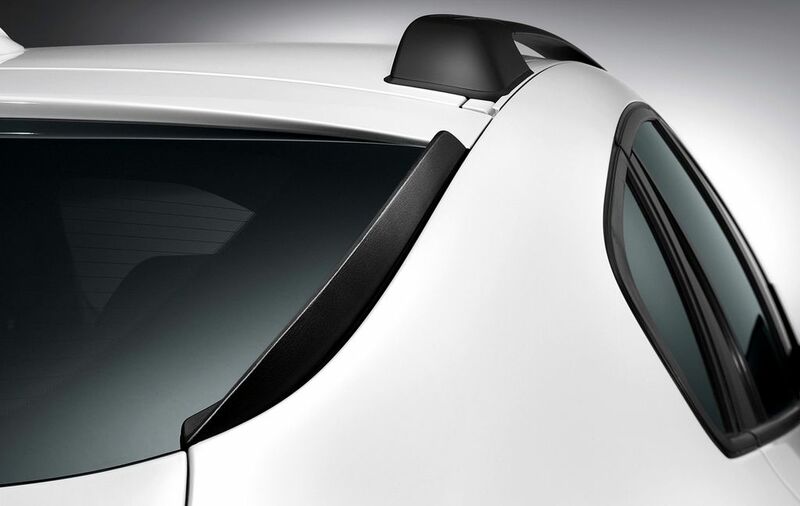 The range of retrofittable options specially developed for BMW's unique Sports Activity Coupé for the drivetrain, suspension, aerodynamics and cockpit is included in the broad selection of BMW Original Accessories. BMW Performance components convey know-how from motorsport to the road, expressing a particular passion for supreme performance and characteristic design. All features in the BMW Performance product line are available individually, enabling the driver of a BMW X6, through the choice of selected components, to set clear sporting highlights in all areas he finds particularly relevant. At the same time all BMW Performance products may be combined with one another to provide a harmoniously balanced overall package. 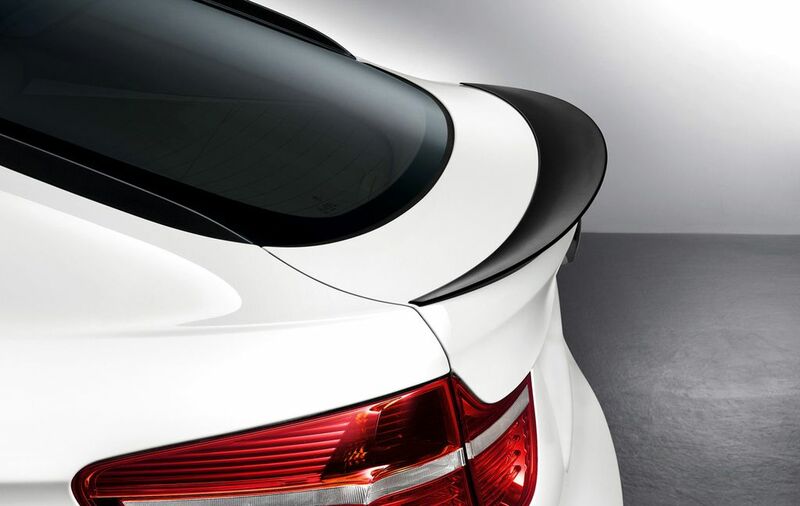 Aerodynamics and the suspension: precise optimisation, individual style. The sporting looks of the BMW X6 are accentuated more than ever before by the BMW Performance Aerodynamics Kit with features and elements tailored exactly in both style and function to BMW's Sports Activity Coupé. This even includes the cameras and sensors for the Park Distance Control, Active Cruise Control with Stop & Go, and the Side View driver assistance system. The BMW Performance Aerodynamics Kit is made up of the front bumper, side-sills and an insert for the rear bumper, all in special design and all finished in body colour. The BMW Performance Aerodynamics Kit for the BMW X6 may also be supplemented by a rear spoiler, rear fins in matt black and a front grid finished in high-gloss black paint. BMW Performance light-alloy wheels in Y-spoke design further optimise the dynamic driving potential and the striking looks of the BMW X6. Reduced in weight, these cast light-alloy 12-inch wheels stand out in particular through their roll-milled rim hump and exclusive twin-tone finish with a glossy outside surface and Ferric Grey paintwork between the rims. A special production method reduces the weight of each wheel by approximately 1,500 grams compared with conventional wheels of the same size. The reduction in unsprung masses ensured in this way has a positive effect on both the driving dynamics and steering behaviour of the BMW X6. The BMW Performance light-alloy wheels come on tyres varying in size from front to rear and featuring runflat qualities allowing the driver to continue even after a complete loss of pressure. Rim dimensions are 10J x 21 at the front on 285/35 R21 tyres and 11.5J x 21 on 325/30 R21 tyres at the rear. BMW Performance Power Kit: even more muscle when accelerating. 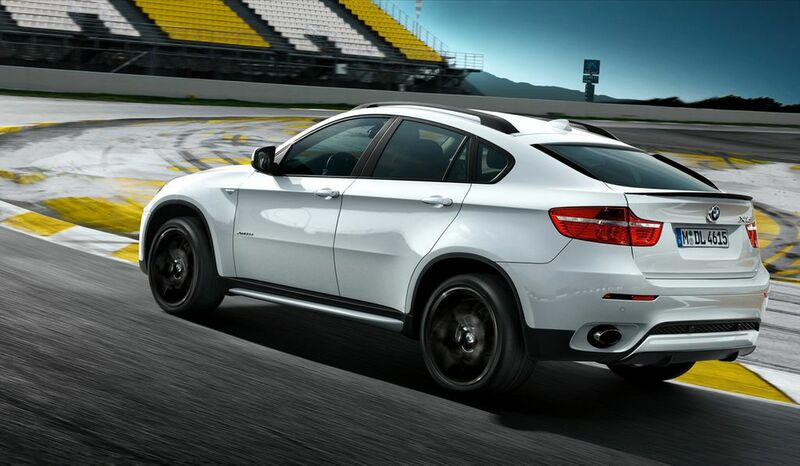 The BMW Performance Power Kit available as a retrofittbale option on the gasoline versions of the BMW X6 as of June 2010 increases both torque and acceleration to an even higher standard. Developed specifically for the V8 power unit in the BMW X6 xDrive50i and the straight-six in the BMW X6 xDrive35i, the Performance Power Kit significantly improves both acceleration and elasticity through a further increase in maximum output and peak torque precisely matched to the car's power characteristics. The BMW Performance Power Kit comprises appropriate modifications to engine management with a positive effect on the development of power in both engines. The Kit was developed by BMW's engine specialists and naturally reflects the high quality standards of the BMW Group with the increase in power and torque remaining in full compliance with all warranty rights and claims on the part of the customer. The BMW Performance Power Kit raises maximum output of the eight-cylinder with BMW TwinPower Turbo and High Precision Injection in the BMW X6 xDrive50i by 30 kW/41 hp to 330 kW/448 hp. Peak torque, in turn, is up by 50 Newton-metres/37 lb-ft to 650 Nm/479 lb-ft. The six-cylinder power unit of the BMW X6 xDrive35i equipped with Twin Turbo technology and High Precision Injection shows an increase in maximum output by 15 kW/20 hp to 240 kW/326 hp, with peak torque increasing by 50 to 450 Newton-metres/332 lb-ft. Benefiting from the BMW Performance Power Kit, both models accelerate 0.2 seconds faster from a standstill to 100 km/h, the BMW X6 xDrive50i with the BMW Performance Power Kit completing this sprint in 5.2 seconds, the BMW X6 xDrive35i in 6.5 seconds. Acceleration in gears from 80 – 120 km/h (50 – 75 mph) is 0.5 seconds faster in each model. Likewise starting in June 2010, BMW Performance also offers a sports exhaust system. Available also on the BMW X6 xDrive50i and BMW X6 xDrive35i, this option stands out clearly through its chrome-plated tailpipes, at the same time offering even lower weight and a particularly striking sound pattern together with a further reduction of exhaust counter-pressure. Cockpit: driver's workplace like in a sports car. BMW Performance offers attractive accessories also for the car's interior design, again raising the sporting driving experience in the BMW X6 to an even higher standard. As an example, all model variants of BMW's Sports Activity Coupé may be equipped with a BMW Performance sports steering wheel with a flattened rim at the bottom and alcantara coating for optimum grip and a pleasant touch in all temperatures. The driver's workplace is further optimised in the true style of a genuine sports car by BMW Performance aluminium pedals and the BMW Performance driver's footrest. In their technical features and design all of the BMW Performance components available in the BMW X6 comply in full with the typical style of the brand and naturally fulfil all of BMW's supreme standards in terms of quality and safety. Accordingly, they are fully in line with all BMW warranty standards and requirements. BMW Performance accessories and features are sold and fitted by BMW Dealers and Service Partner as well as BMW Retail Outlets.